We are a leading Manufacturer of copper press parts from Pune, India. We are among the reputed names in the industry for manufacturing and supplying Copper Press Parts. The offered Copper Press Parts are installed on speakers for protecting them from dust, moisture and abrasion. They are dimensionally accurate and exceptional in terms of tensile strength. 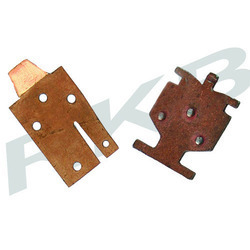 These Copper Press Parts are made from high-grade raw materials procured from a reliable vendor base. Looking for Copper Press Parts ?